I'm having a hard time keeping up with blogging here. I planned to update at least weekly, but that hasn't been happening. The weekends are just flying by so incredibly fast, and the weeknights usually don't even feel like they happen. Anyway, the last month with Adelaide.... After having such a great 5th month, I was actually really surprised with the roller coaster ups and downs that her 6th month held. As easy as we thought we had it getting her out of the swaddle, we ended up battling with about a week and a half of random night wakings not long after. Adelaide decided that she was all about rolling over to her tummy to sleep, but waking up that way was no bueno. She would get mad and was unable to turn back over, and the crying ensued. I went in to help her a couple of times, but quickly learned my lesson. She would either cry louder when I moved her or roller her over, or would be back on her tummy before I could even get back to bed, and then start crying again. It was rough for a while there, but the last few nights have been much better... hoping we're done with all that. At least for a little while. Other than the night wakings, things have been good. She finally started eating solids. Squash. Only squash. Only jarred squash. We've tried sneaking a few other things in there, but unfortunately she did not inherit my gullibility. But, it has only been a week or two, so as long as she doesn't turn into a squash, I guess we're okay for a while. Her 6 month vaccinations caused a bit of upset which the previous two rounds did not. She ran a fever the day after and either napped crazy long or very short. But I did get to sit and hold her while she slept for an hour one afternoon, which was pure bliss for me. 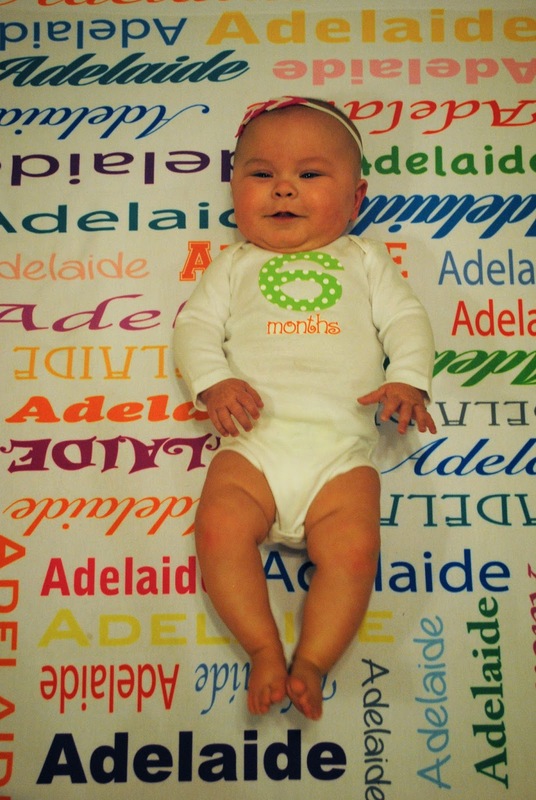 I think it was worth dealing with a slightly fussy Adelaide to get to experience that again. I can see now why my mom told me that there was nothing wrong with just sitting and holding her if that was what I wanted to do in those first few weeks. Those days came to an end so, so soon, so I was so grateful to have that sweet sleeping baby in my arms again. 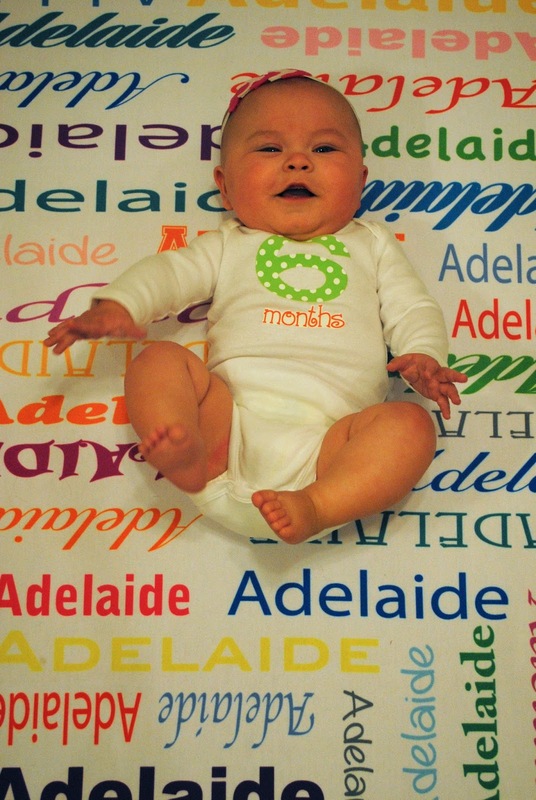 I cannot believe Adelaide is already half a year old. I remember so clearly when 6 weeks seemed so far away as we held our brand new, screaming 2 week old. So much has changed. If she's not rolling, she's standing. 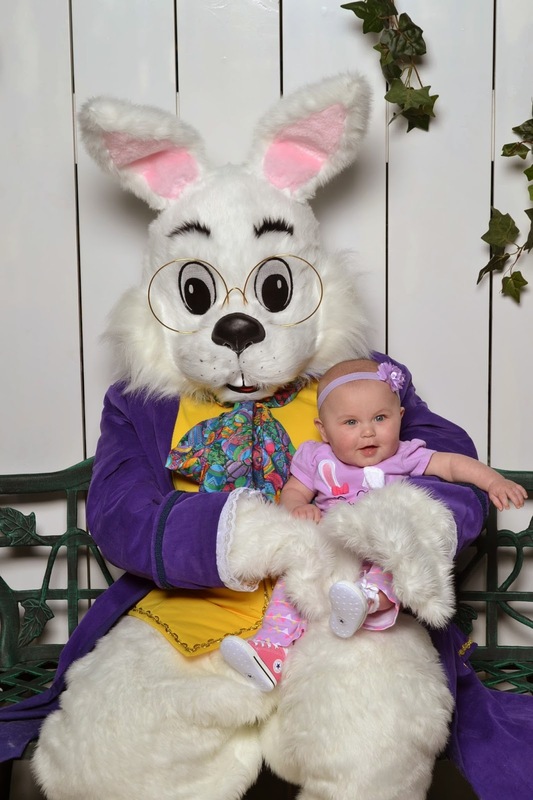 We visited the Easter Bunny this weekend with Adelaide's cousin Hadley. 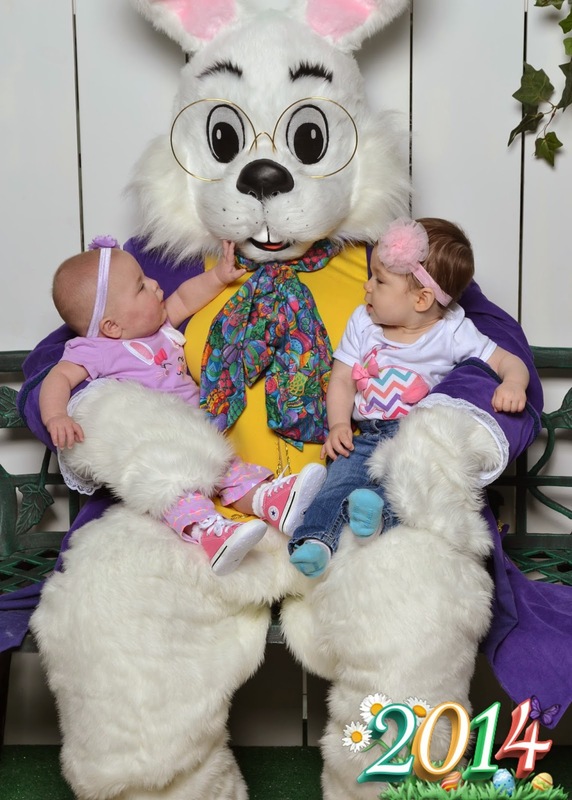 Neither one of the girls seemed at all worried that a human-sized bunny with glasses was holding them.